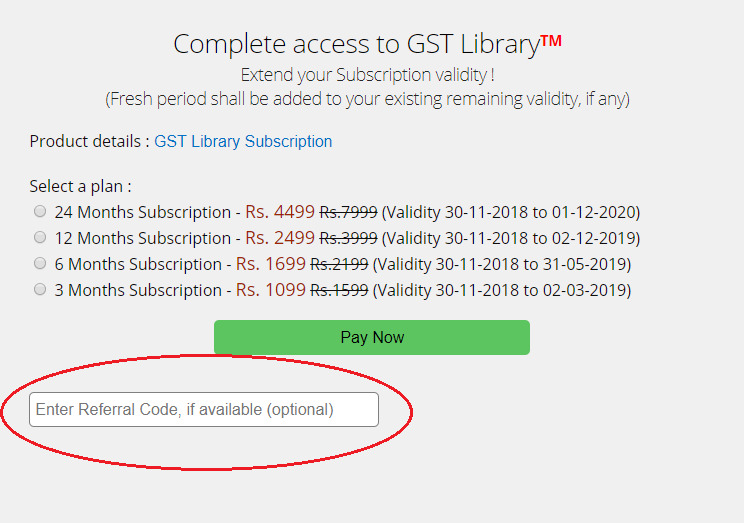 Refer someone and get rewarded by direct 20% commission on each subscription of GST Library referred by you. ~ Minimum 2 subscriptions are mandatory to be referred by you to become eligible for commission payout. ~ Referral commission shall be paid to you within 4 working days. 1.2 - How it works? Its simple. Just ensure that the buyer mention your referral code on the payment page. Rest will be handled by us. 1.3 - Whats my Referral Code? ~ Call us at 9582 75 75 78.